Happy Monday! I'm popping in today to share my *first* (yes...) Linden Sweatshirt (purchased via Imagine Gnats, HERE). This pattern has been around for a little while and I, for reasons unknown, have waited until now to make one! Unknown reasons, especially because every version out there is great! So the little push I needed came from #lindenlove that was hosted last month on Instagram by SewNews. Seriously, check out that hashtag for mega inspiration! And also #lindensweatshirt. 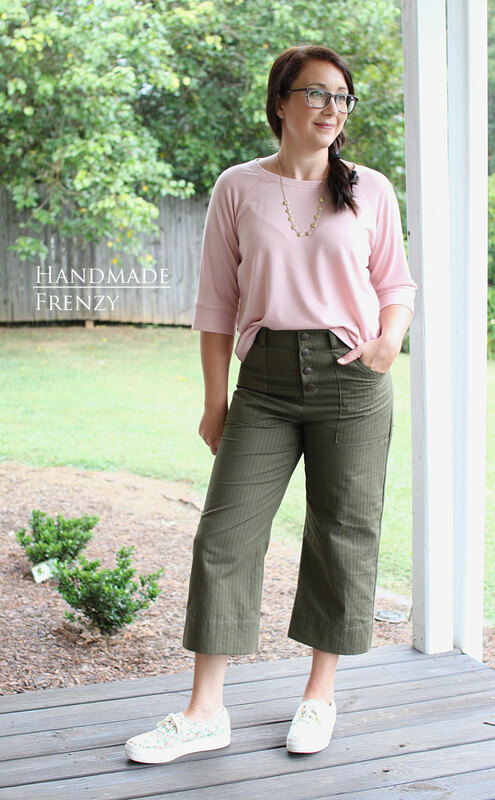 I was also motivated to make the cropped version to go with my brand new high-waisted Lander Pants. The fabric I chose to use was also a direct result of falling in love with THIS OUTFIT made by Mie of Sewing Like Mad! The color combo is just toooo good! 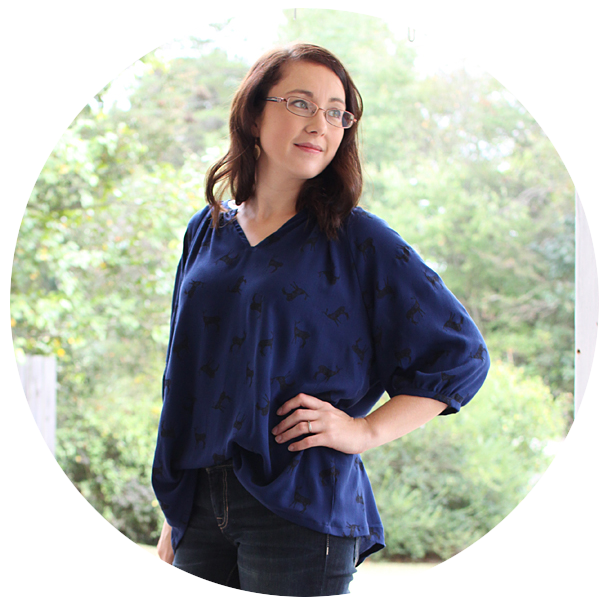 I already knew I absolutely loved this fabric because I used it to make a top HERE. Yes, I have two tops made from the same fabric and they are even both raglan sleeved. Haha. But I don't care, because I just want to wear them both all the time! 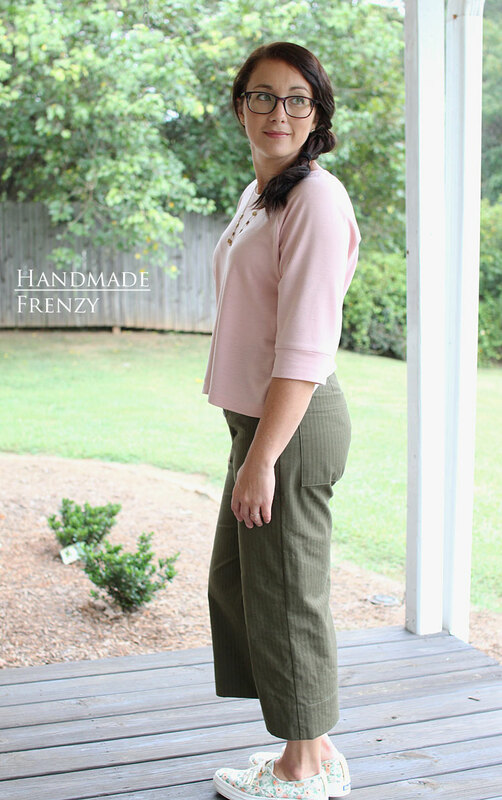 The fabric is a rayon blend french terry from LA Finch Fabrics. 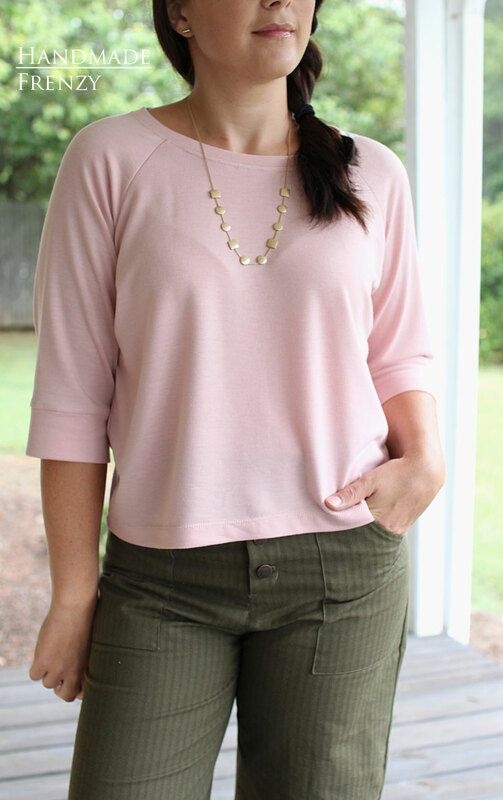 The pink is sold out, but a lovely Heather Gray is available HERE. So my thoughts on the pattern... I have nothing but good to say! The fit is so good. I made a size 6, my bust measurement puts me between a 6 and 8, but my hips are 4/6. I made a straight size 6, in the cropped length and added the included bands to the sleeves for just a bit more length there. I used the pattern piece for the band, but lengthened it to be just a hair shorter than the bottom of the short sleeve pattern piece. The pattern pieces fit together perfectly, as do all Grainline patterns. The instructions and illustrations are nice and clear and the pdf is easy to assemble. 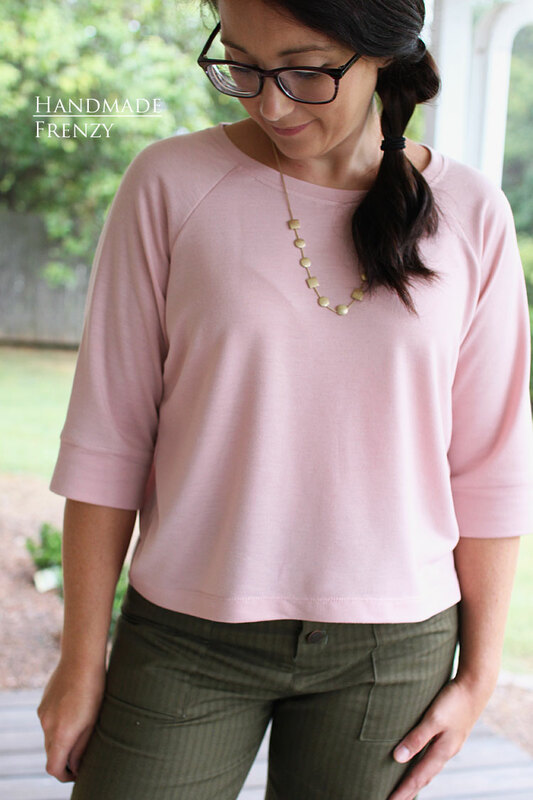 I just love the easy, slouchiness of this shirt. Yet it still looks pulled together. I will be making so many more of these!! 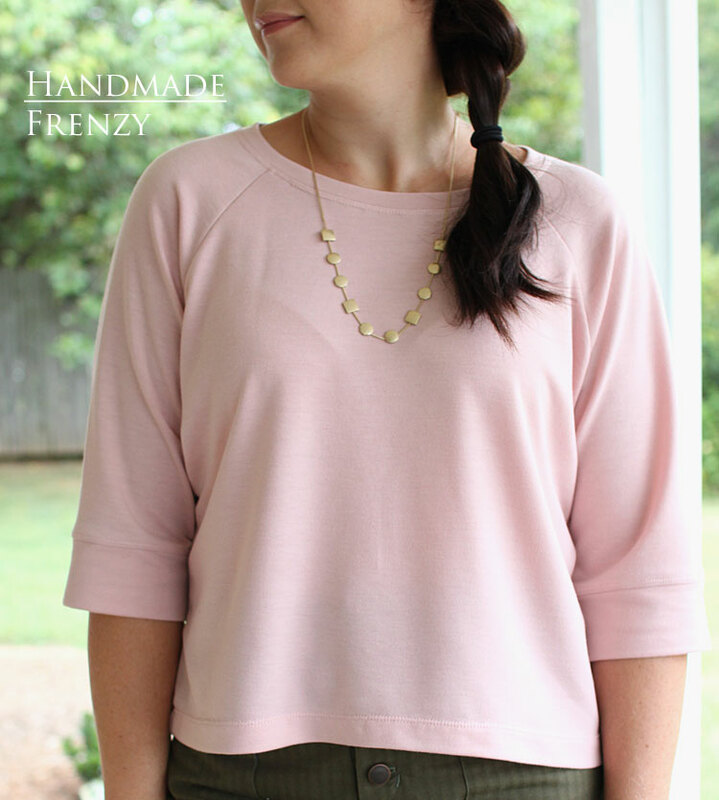 I want to make the longer length for winter and I'm just dreaming of all the cozy fabrics I can use for them! 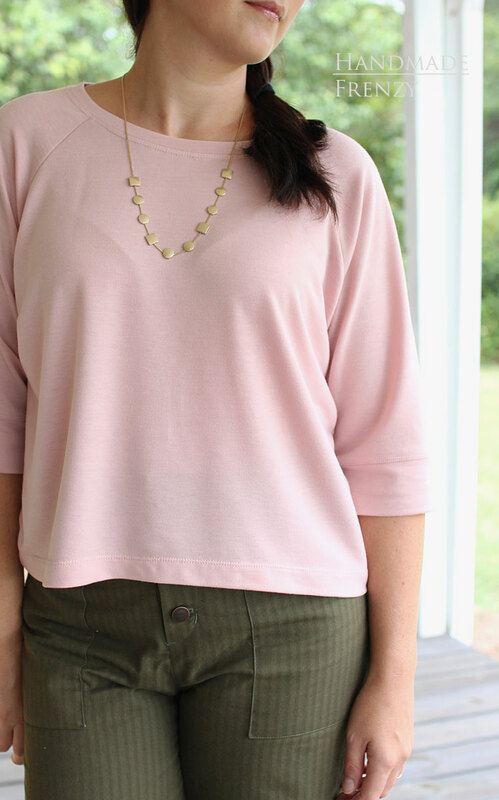 I also want to try going down a size and using lighter-weight fabrics for a shirt-like fit. 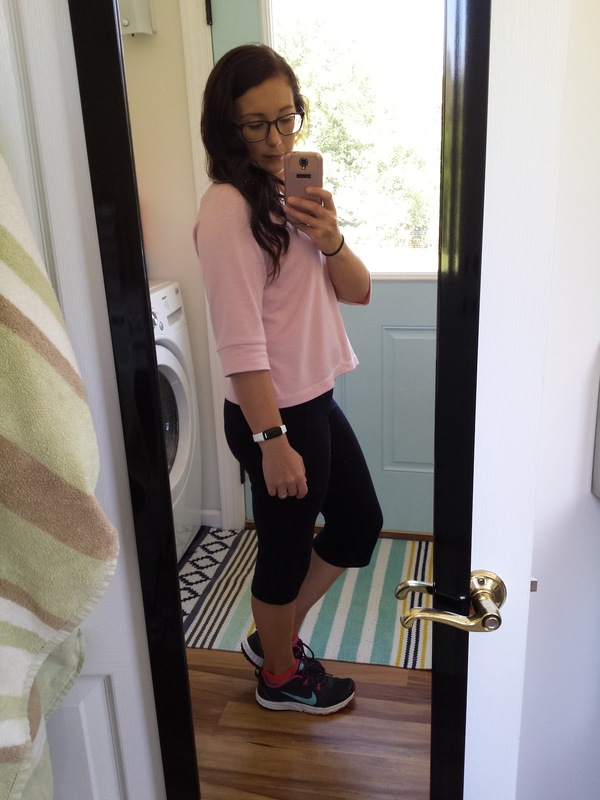 I should mention, I didn't make any changes to the length at all, I am 5'3". I'm really happy with the length. I like it being shorter, but not super cropped. I've been told one cannot have too many Linden's so I'm going to be working on that! How many Linden's do you have?? 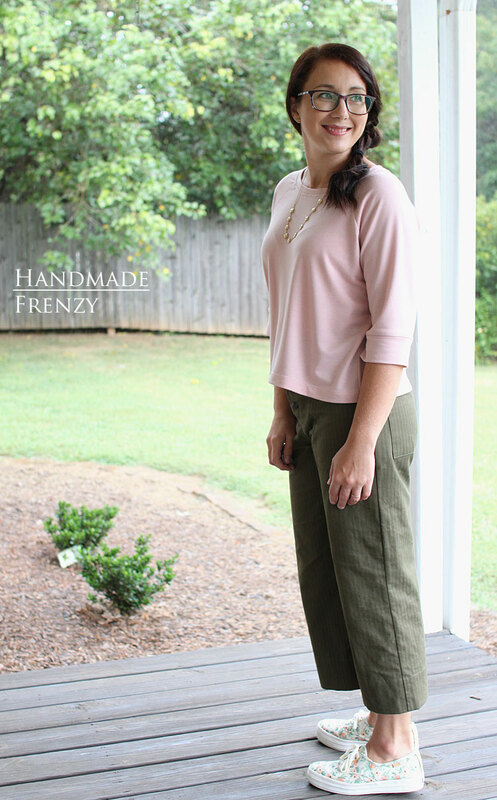 Fabric: Rayon/Poly French Terry from LA Finch Fabrics, pink sold out, but gray available HERE. I think I counted 6 in my closet and one in my wip pile. And yes, I am going to sew many many more!!! It is such a good pattern! Such a cute outfit! Love the color of the sweatshirt. 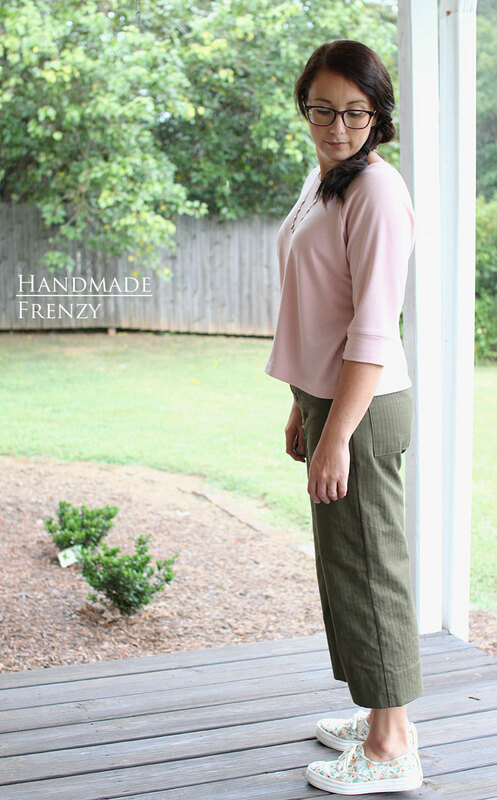 I am really liking the blush pinl/olive combo! so cute! am so inspired to make one for myself.